On December 29, 2017, Joyce Levine, the NCGR Chair, asked me to make promotional videos in order to generate sales of NCGR’s MP3 files. I declined to do this professional work as it can easily turn into a full time job without compensation, which I cannot afford. I was already donating a significant amount of time and effort to NCGR and the United Astrology Conference (UAC) conference. Instead, I offered to look for a different way to raise money for NCGR with better organized educational offerings with proper marketing. I suggested that I would not mind doing something like that if I was compensated properly. In response to my reasonable suggestion, Joyce Levine brought potential conflict of interest to my attention. As a result of that conversation, we agreed that I would conduct research on how to create an efficient setup that would provide enhanced NCGR educational offerings while raising money without a conflict of interest. Joyce Levine expected me to produce my proposal for the upcoming January 7 board meeting. Grace Lopez has not produced the minutes of that meeting; however she created an audio recording of the meeting. By her failure to produce the minutes of the meeting in writing, Grace Lopez has failed to fulfill her duties as LINCGR secretary. If Joyce Levine is interested in details of this particular meeting, Ms. Levine would need to follow up with Ms. Lopez and request the audio recording. Upon my calling into the February 24, 2018 meeting at 9:30 AM EST, I quickly became aware of a different agenda for this gathering that included an apparent prearrangement for a number of additional participants to attend without disclosing same to me in advance. Comments made by the Board during this conference call meeting revealed a previously undisclosed decision to terminate me from my relationship with NCGR, LINCGR and UAC prior to this February 24, 2018 meeting. No written formal charges were ever presented and I was never interviewed. The Bylaws were violated and a full and proper investigation was never performed. At no time between February 18 and February 24, 2018 did any NCGR Board member contact me to inform me of the real purpose of the conference call. - I am currently aware of the following participants on the conference call: Joyce Levine, NCGR Chair, Linda Wilk, NCGR Treasurer, Leigh Westin, NCGR Board Member, Grace Lopez, non-elected LINCGR Board Member (my local chapter), Maryann Dillinger, LINCGR treasurer (my local chapter) and me. - During the meeting I was subjected to two (2) hours of relentless grilling in which I felt attacked and harassed. I was told at this time that there were several complaints from my chapter members; however, I was not presented with any proof of that statement. Grace Lopez appeared to be the only complainant. Maryann Dillinger did not claim any complainant status nor did I assume she was. It seemed as if Maryann Dillinger was called to attend this meeting only as a treasurer, and yet she seemed to be very confused about the meeting and chapter finances. 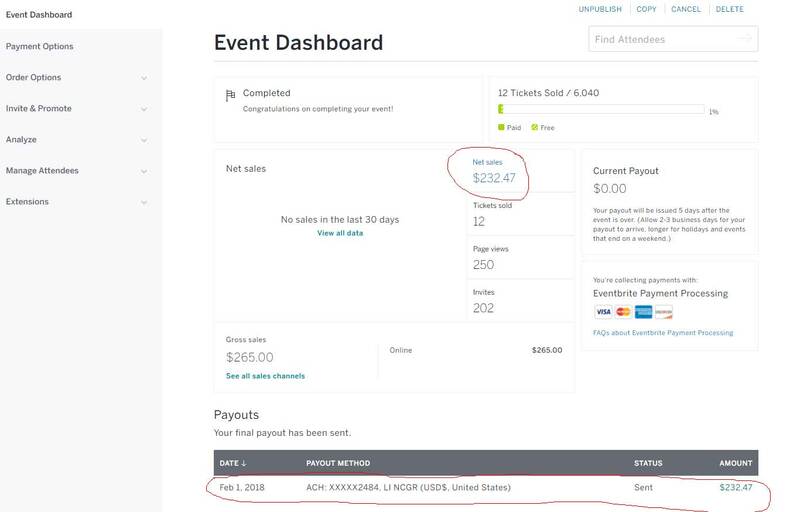 In fact, Maryann could neither find records of LINCGR’s PayPal and Eventbrite accounts nor could she remember that the raised funds were already transferred to the Chapter’s accounts. She also could not recall having received the accounting report from me via both email and verbally (see reference in item 8). - During the call, I also learned based on comments by Joyce Levine, Linda Wilk, and Leigh Westin that they had invaded my privacy by logging into my private account without my consent. - I asked the Board during this conference call, “If you already voted to expel me before this meeting, what is the purpose of this meeting?” They did not give me an answer. There seemed to be no other purpose for the February 24, 2018 meeting except to bully and torture me from what I could see." On March 10, 2018, I received a response from Joyce Levine to my “March 4, 2018 Due Process” letter. Her response letter was designed to look formal. However, it did not contained a date and there was no address or phone number provided for the alleged attorney, Terri Cohen-Lieberman, Esq. The letter did not address the Due Process violations and did not address an offer to resolve the matter amicably. The letter was designed to present a defensive posture by twisting facts and not providing proof or support of any of her statements. This lack of professionalism made me believe that there is no point of further reasoning with the NCGR Board. On March 16, 2018, Linda Wilk, NCGR treasurer, attended my local Long Island chapter meeting and publicly harassed me by standing over me while I was sitting down waiting for the lecture to start, leaning into my face with about two inches of separation and making comments to me such as ‘I hope you are not going to cause trouble tonight’. I told her several times to “stay away”. She did not back off until my boyfriend stood up for me and asked her to comply with my wishes. It seemed that her motivation was an act of harassment and not an accident. It was preplanned as Linda Wilk never attends LINCGR meetings. I also noticed a police officer posted outside the meeting room with Linda Wilk repeated going over to talk to him. The Nassau County Police Department posted an officer outside the meeting room, which generally consists of approximately 10-15 women in attendance. It then became apparent to me that Linda Wilk requested the Nassau County Police Department to post an officer ahead of time.